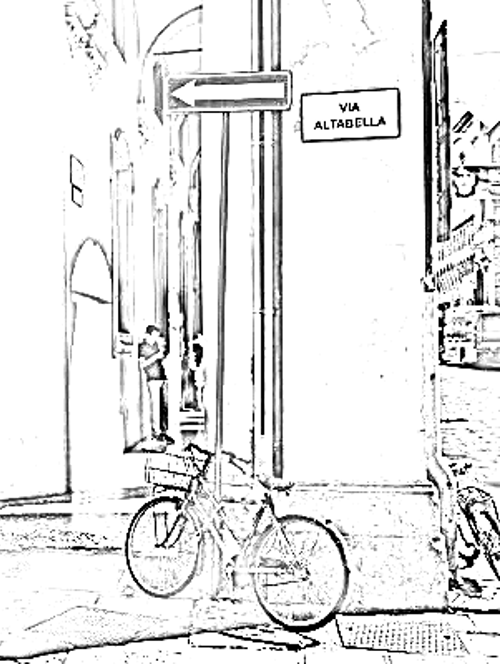 You are here: Home / News from Madrelingua Italian Language School / Why learn Italian, anyway? It’s hard work, time-consuming and potentially expensive. And if you’re going to bother at all, why choose Italian, rather than say Spanish, French, German, or something more ambitious like Chinese? There are many excellent reasons to learn a foreign language, none the least that it’s an infinitely better use of your time than sitting in front of trash reality TV programs. Learning a foreign language will boost your self-confidence, give you the chance to develop new skills, and open your mind. Imagine you manage to reach a reasonable communicative level in Italian or another foreign language – think what a psychological boost that will give you, how much more confident you will feel about tackling other complex and difficult projects in the future. If you speak one language, you are one person. But if you speak more than one language, you become more than one person. Being multilingual brings freedom and opportunity. Having the ability to express yourself in another language, and to understand what others say to you, really will open the door to new worlds and new ways of being you! But why then choose to learn Italian? Many students of Italian have obvious family reasons for learning the language – parents or grandparents born in Italy, or like me, an Italian partner. But if that’s not the case for you, Italian could still be an excellent choice, if for no other reason than the fact that Italian is closely related to other ‘Latin-origin’ languages like Spanish, French and Portuguese. Well, I studied French at school, but felt I had made little progress with it. Since learning Italian, however, I find myself able to make sense of a French newspaper or novel, such are the similarities between the two languages. And I know no Spanish at all, but regularly hold conversations with young Spanish or South-American students who come to Bologna to learn Italian. But due to the similarities between the two languages, we’re actually managing to communicate with no real problem! Choose Italian as your foreign language and, as an extra, you’ll gain some ability to understand three or more OTHER languages. But study Italian and you’ll also be learning the language of fashion and design, of art and opera, of Italy’s much-loved cuisine and fine wines, of Dante Alighieri and renaissance Florence. What’s more, with some knowledge of the Italian language, visiting some of Europe’s oldest monuments or getting to know Italy’s magnificent and varied landscapes and coastline will be a richer and more satisfying experience. Google ‘most studied languages’ and you’ll find that according to the latest statistics, Italian is in fourth place after English, French and Spanish (all ‘colonial’ languages). Master Italian, and you won’t be short of people to talk to! Here is the best reason for studying Italian. You get to hang out with Italians. Thank you for your email. I haven’t forgotten about Madre Lingua. I will be on a visit to Bologna in late May 2015, and I would like to come and visit you to discuss what would be best for me. Come any time, Derek. Or e-mail Stefi. Whichever is more convenient for you.